Discover what clowns do with story. Exploring clown storytelling, ensemble improvisation and story-based clown devising techniques. Explore ensemble improvisation, finding ways to support each other to take greater risks in clown improvisation. Discover what your clown likes to do with story, characters and themes. Respond to existing stories and make some up some of our own. Explore both verbal and non-verbal clowning. 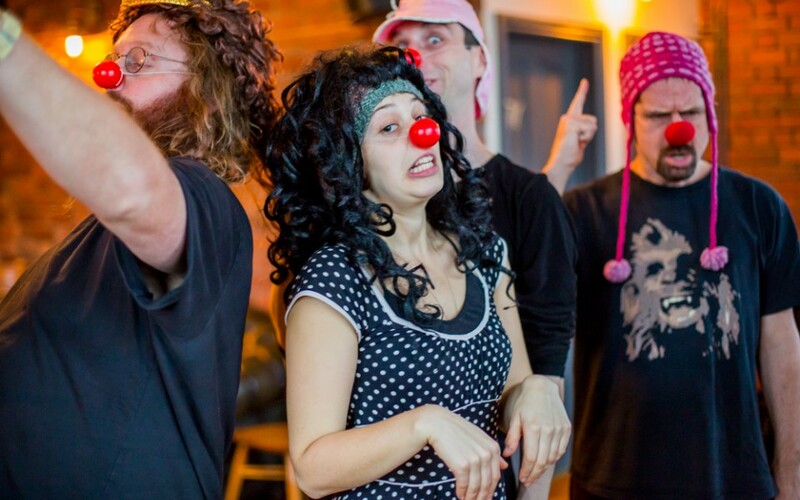 Discover ways to use story as the basis for devising or for clown impro.